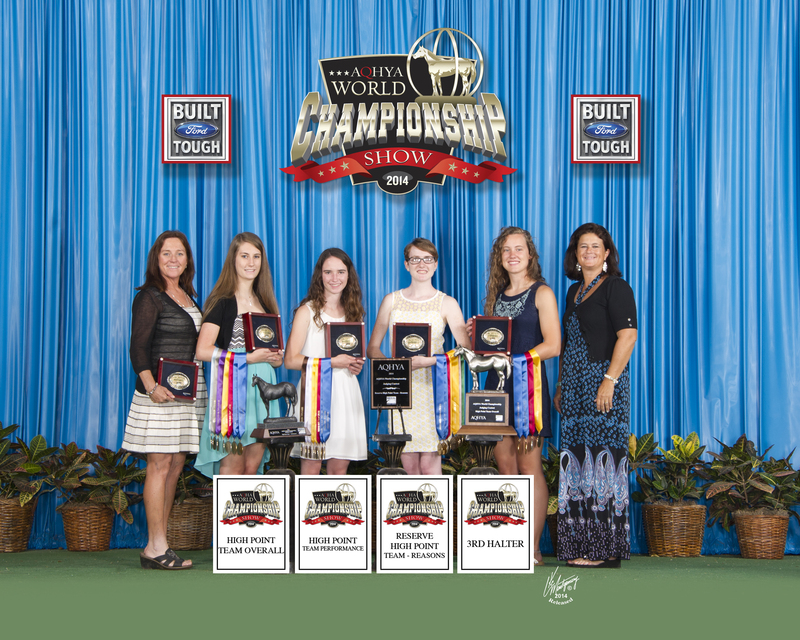 North Carolina was well represented at the recent American Quarter Horse Youth Association World Show Educational Contests in Oklahoma City, Oklahoma. NC Youth competed in Horse Judging, Impromptu Public Speaking and Horsebowl. 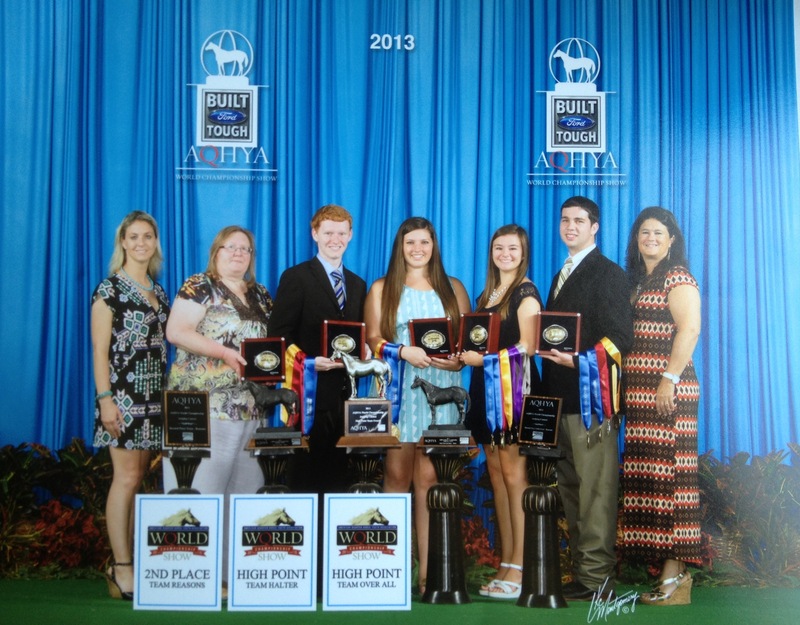 Eight NC youth competed in the Horsebowl Contest. 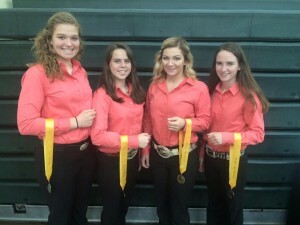 The team of Alamance County 4-H’ers Alexandria Knudson, Rachel Rezin and Mattie Thompson and Wake County 4-H’er Hannah Sather captured first place team awards. 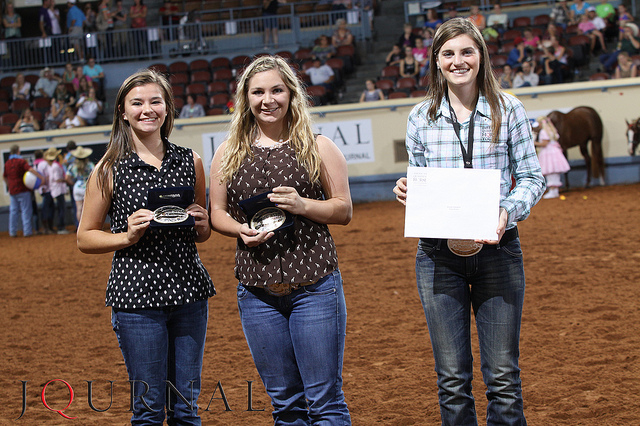 Along with their coach, Lindsay Riddell, the youth were presented with trophy buckles, jackets and medallions. 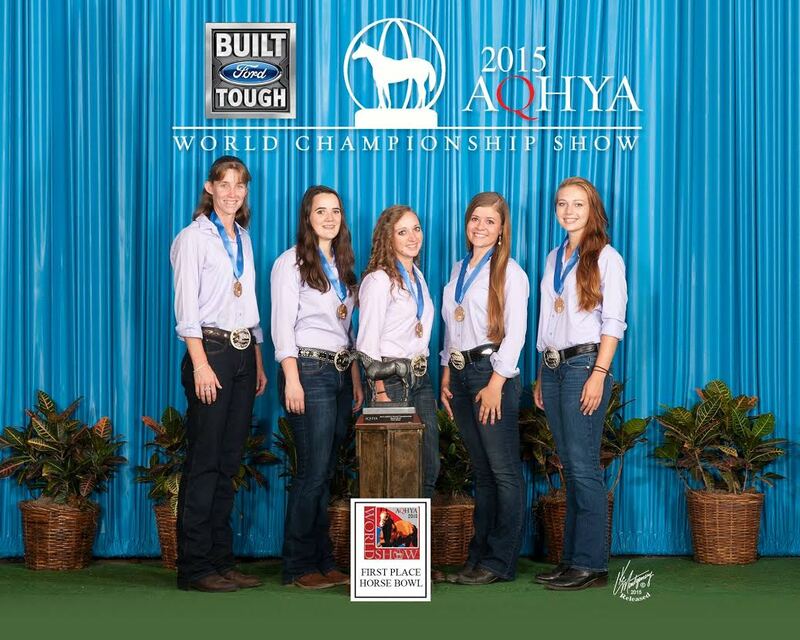 The team also earned a bronze Quarter Horse trophy. 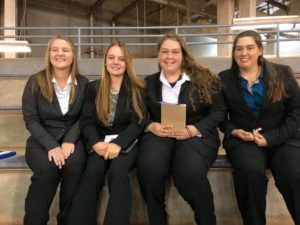 The other NC team placed third overall and was comprised of Maddie Edwards and Laura Dickerson from Chatham County and Mina Greenlee and Megan Downs from Johnston County. The NC Horse Judging Team was made up of Johnston County 4-H’ers Megan Downs and Mina Greenlee, Chatham County 4-H’er Maddie Edwards and Wake County 4-H’er Hannah Sather. 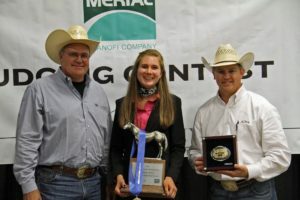 Megan Downs placed 2nd in Halter Judging and was the 3rd High Overall Individual. Maddie Edwards was 10th in Halter Judging. 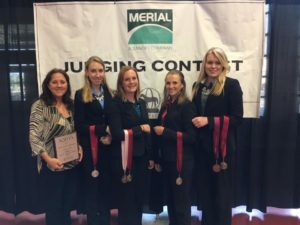 The team placed second in Performance Judging and fifth in Oral Reasons. In the Impromptu Speaking Competition, youth randomly drew three topics and had five minutes to prepare a speech on their chosen topic. 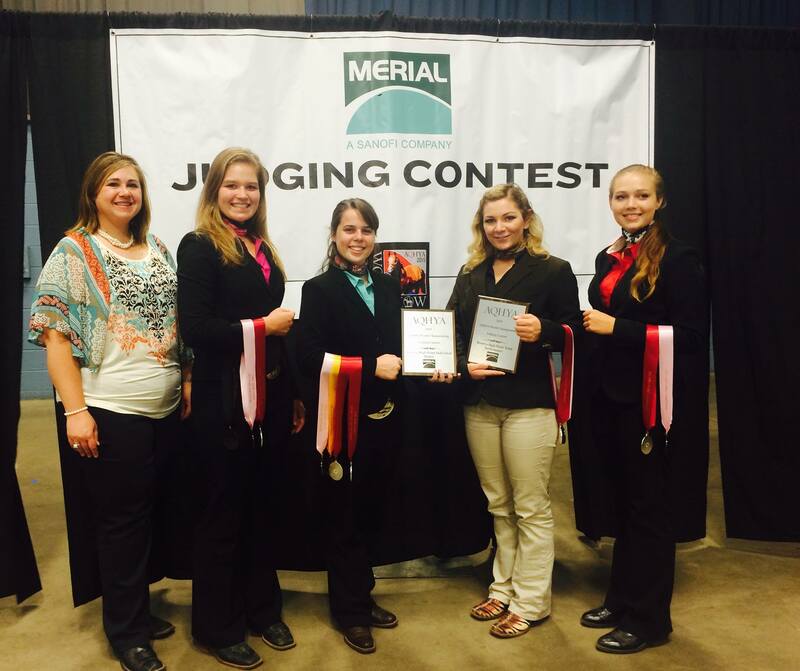 Maddie Edwards placed seventh for her speech on what event she would like to see added to the Youth World. 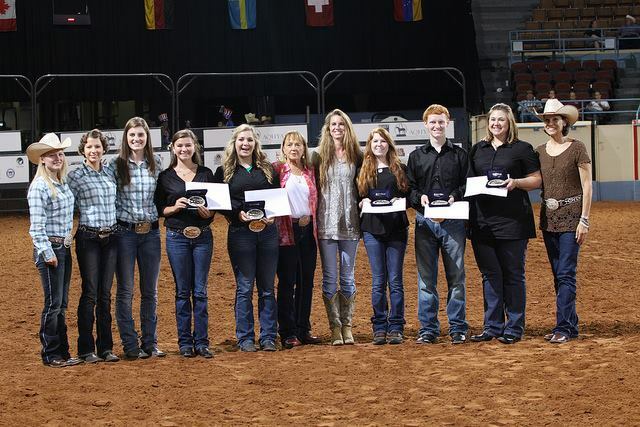 Mina Greenlee placed ninth with her speech about her involvement in the Quarter Horse Association and how she connected with the 2015 theme: “Building the Future Piece by Piece.” Megan Downs was awarded tenth place for her speech on where she sees the Quarter Horse Association in fifteen years. 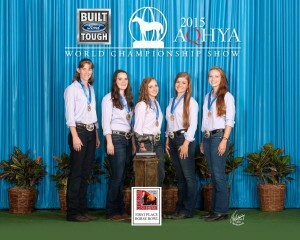 Congratulations to everyone and we are proud of all your hard work and dedication!